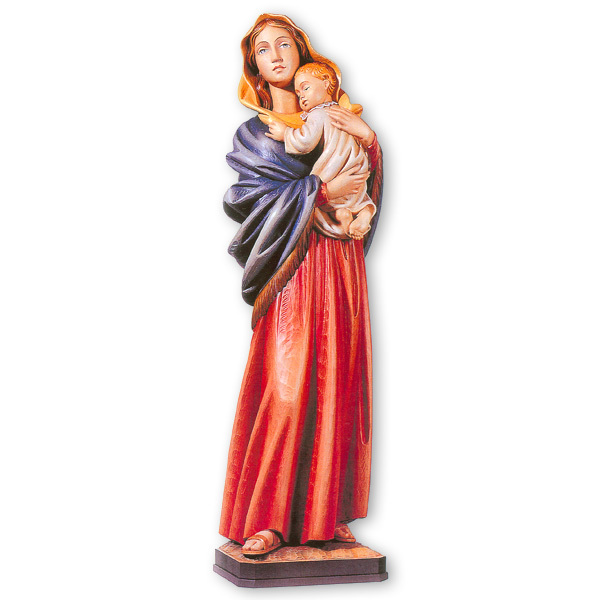 Home » Church Goods » Statues / Nativities » Madonna Della Strada Statue 24" - 72"
Madonna Della Strada Statue 24" - 72"
This beautiful, full-coloured statue of The Madonna is hand painted and is available in fiberglass or hand carved in Linden Wood. This statue is adapted from the painting by Roberto Ferruzzi. Madonna or Madonna Della Strada, is commonly known as Madonna of the streets, a beautiful image of Our Lady with Child.